At long last, victims of the January 27, 2002 bomb blast have not died in vain, particularly for the hundreds that drowned at the Oke-Afa canal while trying to escape the thunderous sounds of explosive device that horrific Sunday. First, they got a befitting well-managed cenotaph built at the mass burial site, then the street adjoining the canal was renamed January 27. Every year since the catastrophic disaster, markets around the Jakande/Oke-Afa axis are shut on January 27, while families of victims congregate to pray for the repose of the souls of their lost ones. During the 10th anniversary in 2012, Lagos State government responded to calls for compensation and handed cheques of N250,000 each to 70 surviving victims. 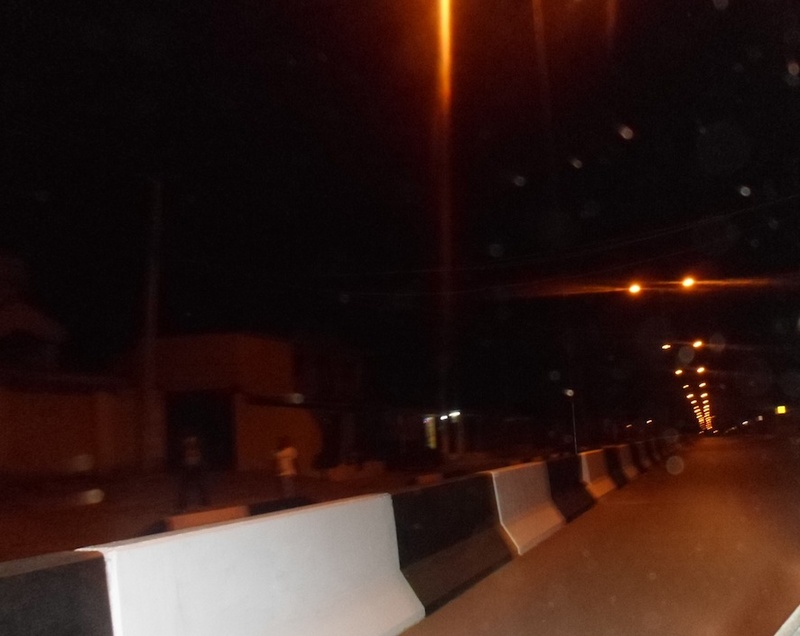 Kudirat Adenekan Street, Oke-Afa, Ejigbo… road leading to the newly constructed January 27 Bridge, linking Ejigbo to Ajao Estate. 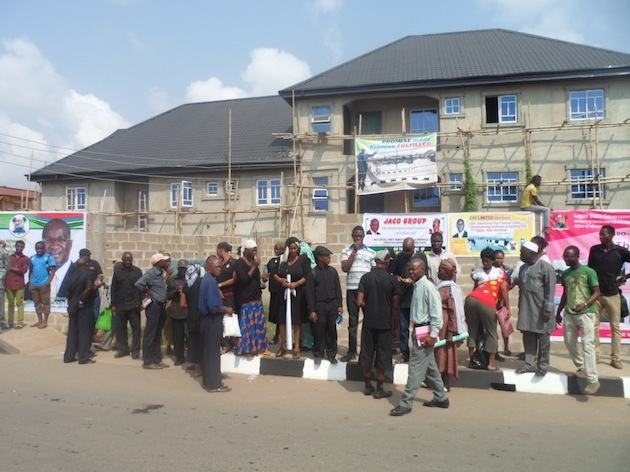 Also, a healthcare centre built by Ejigbo Local Council Development Area (LCDA), which initially bore the name of the governor, Babatunde Fashola, was renamed January 27 Health Centre when the governor commissioned the facility for use. 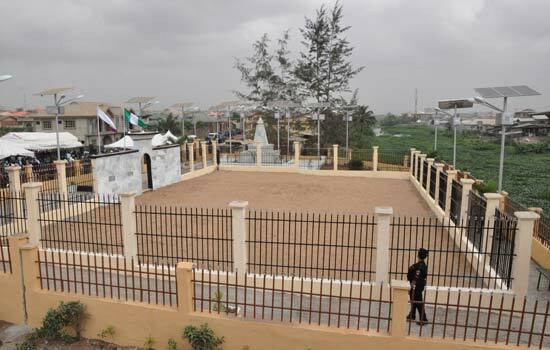 The ceiling came at the 12th memorial on Monday when a much-needed link bridge connecting Ejigbo to Ajao Estate was named January 27. It was a fitting acknowledgement of the sacrifices of those who perished at the spot, as it would keep their memories in perpetuity. Monday’s commissioning of the January 27 two bridges and four roads, however, did not put an end to clamour for compensation by some of the victim’s relatives. Nurudeen Oyegbemi, who led the Ikeja bomb blast victims to the venue of the commissioning, said the state government left out 84 people when it handed out cheques during the 10th memorial. “The state government has the full list of victims numbering 154, which was published in the national dailies when the incident happened. We did not just assemble ourselves to defraud government. It would be unfair to leave out 84 of us. 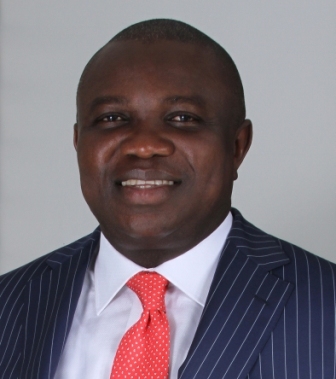 What the governor has done is heart warming, but the exercise should be completed,” he said. Oyegbemi took a swipe at the Federal Government for abandoning their responsibility to families of victims 12 years after. “It’s sad that the Federal Government, who should take all responsibility for the disaster, has abandoned us to our fate. 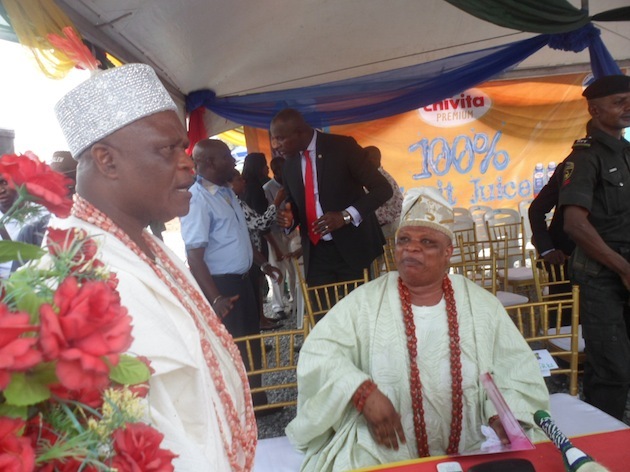 In his address at the commissioning to traditional rulers, community leaders, politicians, party stalwarts, residents and corporate citizens, which included the Ojon of Ejigbo, Oba Moruf Ojoola; Osolo of Isolo, Oba Kabiru Agbabiaka; and managing director of Chi Limited, Roy Deepanjan, Fashola said he was willing to bring closure to the issue of compensation for victims’ families. “I still hear that there are issues of compensation. As willing as we have been to pay compensation to survivals of victims, there is no amount of compensation we pay that can bring back the lives we have lost. You must assist us in a way that helps us to verify who the real beneficiaries of compensation are and we cannot have compensation every anniversary. The governor berated the Federal Government for failing in its duties and causing the avoidable death 12 years ago. “It was because a national government led by the PDP failed to do its duties. It was their responsibility to manage bombs and the military. “Since then, they have pretended as if nothing was wrong. But the Lagos State government responded by rebuilding the schools and hospital damaged in Ikeja cantonment. That is not our responsibility but the people who suffer and live in this community are our responsibility. “In the same vein, my predecessor promised that a bridge would be built to link the two communities; I have come here to fulfill that promise. We not only now have a bridge; we have two bridges and four roads. 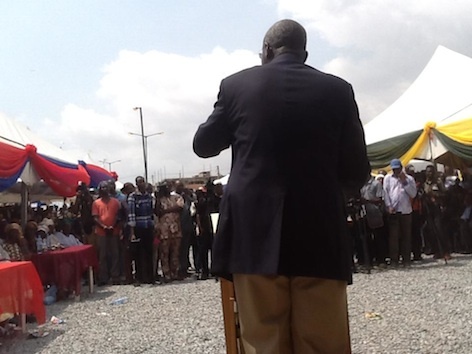 Fashola used the occasion to address the issue of lingering Iyana Ejigbo road repair. “Our contractors are on that road. The problem, which the Commissioner of Works has briefed me, is finding a major drainage solution that if we do not solve and we attempt to do the road, it would not last. Be patient with us,” he pleaded. From an obscure location in the Centre of Excellence is coming the biggest news of the year: 300,000 new jobs, plus annual revenue of over N2 trillion to the Federal Government. Great things often come in small packages, and for most passersby, 74 Ogunnusi Road (All Seasons Place) at Ojodu Berger, does not command a second look as the building beside it, which is the Lagos Zonal Command of the Federal Road Safety Corps (FRSC), grabs all the attention. But that is about to change soon as School of Banking Honours (SBH), an innovation enterprise institution (IEI) accredited by National Board for Technical Education (NBTE) to drive the country’s policy on banking skills and entrepreneurship studies, is set to lead the N50 stamping on all banking transaction receipts in form of electronic money transfers and manual banking tellers with values of N1,000 and above. With its research since February, 2012, resulting in a Masters Services Agreement (MSA) between SBH and Nigeria Postal Service (NIPOST) to enforce the Stamp Duty Act 2004 and NIPOST Act 2004, SBH is set to make history with target 300,000 jobs that are expected to rollout with an immediate sign-on of 100,000 young graduates on its “em-Bankers” programme. Also, ex-bankers that were recently disengaged from the banking industry will be absorbed to lead the re-skilling of young em-Bankers in a “shadow-banking” model across the country. 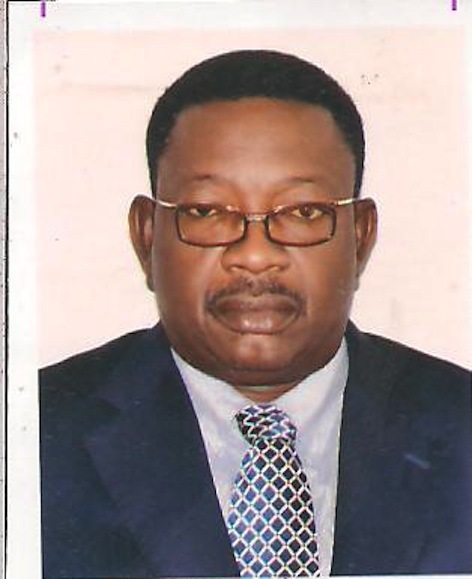 The project consultant and head of School of Banking Honours, Mr. Adetola Adekoya FCA, told The Guardian that while the compliance circular by the CBN to the banks is being awaited, the federation account is deliberately being denied an annual injection of over N2 trillion. The sad reality of the present situation, according to him, is that a heinous economic crime is being committed against the Nigerian state, as the law has been in force since 2004, and a Federal Treasury circular issued to all Government agencies (including CBN) since 2006, while a preceding circular was also issued by CBN in 2009 for compliance of subsidiaries of banks operating in the capital market. However, the same CBN that is denying Federal Government its fair revenue on stamp duties in money market and banking transactions, is allowing similar charges to be going into private hands through the back channels, and these run into billions of Naira. 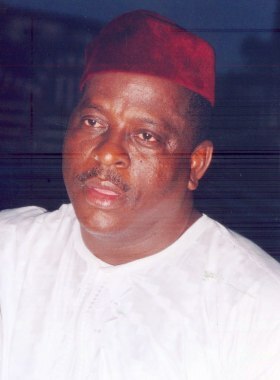 A new twist was added to the project when a firm, Kasmal Financial Services Ltd (owned by a chieftain of the Peoples Democratic Party (PDP), Prince Buruji Kashamu) on October 25, 2013, obtained an Order by ex-parte motion against 22 Nigerian banks for their alleged failure to remit stamp duties by virtue of a further agreement it had with NIPOST in August 2013. Kasmal obtained the Order through Justice Chukwuejekwu Aneke of the Federal High Court, Lagos, with NIPOST and School of Banking Honours as defendants in the suit. 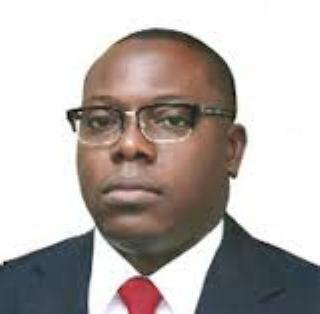 Kasmal’s counsel, Prince Ajibola Oluyede, argued that the banks, having defaulted in paying the duties since 2004, prayed the court to compel the banks to pay a cumulating amount of N70 on all eligible transactions since 2004 till when judgment would be delivered. The claim by Kasmal was however countered by SBH, who insists that it has the authentic Master Services Agent to NIPOST on the stamp duty project since 14th September, 2012, and any other one is fake. According to Mr. Adekoya of SBH, he was seeking an audience with President Goodluck Jonathan to draw his attention to the delay from CBN when an Ogun State traditional ruler advised him to seek the support of Prince Buruji Kashamu, also from Ogun State, to facilitate his meeting the President. “We met with Prince Kashamu and his lawyer, Prince Ajibola Oluyede on Saturday, October 12, 2013 to assist us in alerting President Jonathan on our job-creation effort that was being delayed by CBN. But it was shocking that after our first and only meeting, Kashamu, using Kasmal Financial Services (an unregistered company) went to negotiate a ‘further agreement’ with NIPOST (back-dated two months to August 2013), to duplicate our responsibility of September 14, 2012, on the project, for an illegal commission deductible from Federal Government’s revenue. “The matter at hand is therefore a criminal case of Prince Kashamu using a fake company on a back-dated agreement, to fake locus standi, in obtaining a Court Order by ex-parte motion against 22 banks,” he stated. 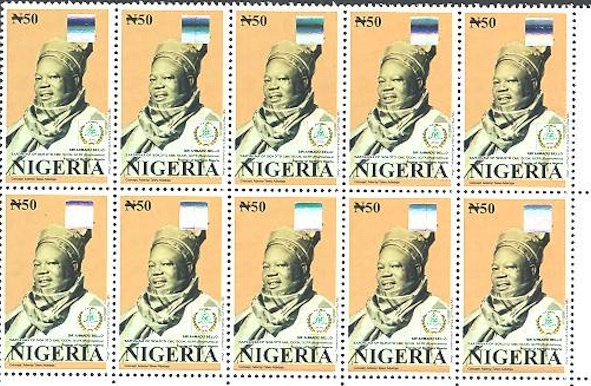 When The Guardian contacted NIPOST office in Abuja, the Postmaster-General, Alhaji Ibrahim Mori Baba, was not available for comment. While the legal brickbats continue, interested parties await how President Jonathan will intervene decisively on this first youth research project. As long as the human race exists, wonders will never cease to occur. 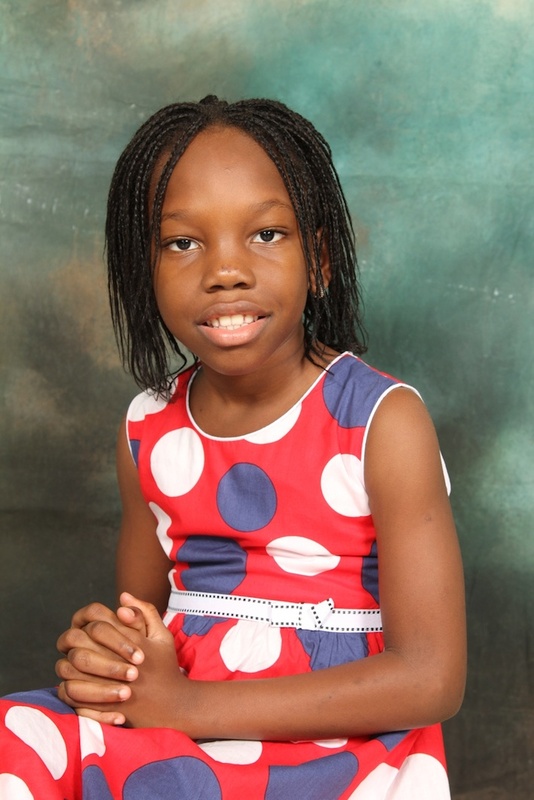 The latest wonder kid in the country is nine-year-old Miss Anjola Victoria Mautin Botoku, a pupil of Edidot School, Badore, Ajah and daughter of a Lagos Chief Magistrate, who took part of her pocket money to register for last year’s November/December WASSCE with Exam Number 5250802098. She registered for the examination at Eti-Osa centre with the assistance of her older siblings but without her parent’s knowledge. The young girl, who likes to experiment, decided to test what it is feels like to sit for an external exam, which came as a shock and surprise to her parents. Like a gold fish without a hiding place, Anjola passed English and French languages at credit level in a first attempt with little or no coaching at the tender age of nine. Interestingly, thousands of candidates have failed English Language at various attempts even after series of intensive coaching. Anjolaoluwa registered as a private candidate for five subjects, namely English Language, Mathematics, French, Yoruba, Food and Nutrition, and Christian Religious Knowledge. She sat for only two subjects, English and French, after going through some past GCE question papers, but was absent for the others because she wasn’t prepared for them. When the results were released, she scored C6 in English and C5 in French. The excitedly beautiful girl decided to gamble with the exam without informing her parents, because her parents would not have allowed her to write the exam. The decision also caught her teachers in school by surprise. “I was aware I was underage and it was illegal but determination and curiosity took the better part of me,” she told The Guardian. Her parents were only brought into the picture after her elder brothers, Babajide 17-year-old Telecommunication Engineering student in a private university and Olujuyin, 14-year-old SS 2 student of Edidot School, completed the registration for the exam. The Grade Six pupil, who clocked nine on September 17, 2013, said the GCE is a tough examination. But considering her level of preparation, especially in English, she was disappointed with her result, as she had expected a B2 or B3. Among the challenges she faced sitting for the exam was the peering eyes that stared at her at the exam hall. Nobody believed she was a candidate. “Several times, I was denied access into the hall by examiners. It was the biometric test, which matched my thumbprint with the one in their system that usually saves the situation. 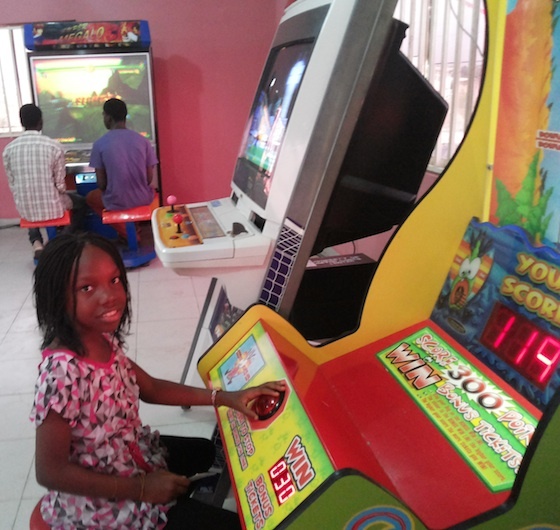 Despite her love for books, Anjola has a social life. “I love dancing and have won several dancing competition at most birthday parties and social functions I attend. I like listening to musicians like Wizkid, PSquare, 2Face, Beyonce, and Rihanna. I have lots of friends and I relax by playing games on my dad’s iPad, watching television or swimming. “In Edidot School, they usually organize French Day and Miss French pageant competition. I once won the Miss French competition. Currently, I am the Head-Girl of my school. My daddy said Paris is a beautiful city. I heard of the famous French proverb ‘See Paris and die’, and I wish to visit Paris some day. Anjola decried the age limit of 13 placed by the exam body, which she said is unfair since in developed countries, young people are admitted into the university at the age of nine. “I would like the concerned authorities to change the age limit to allow Nigerians break or set new world records. 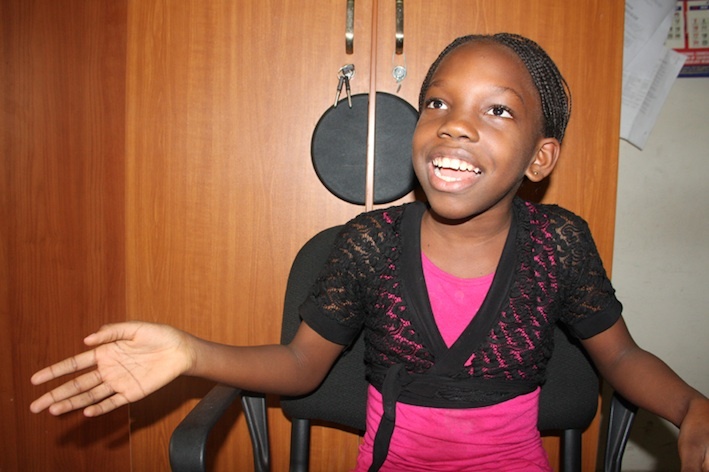 Recently, a 10-year-old Nigerian passed Microsoft professional exams; the youngest medical doctor in the world is aged 17. “Also, the youngest professor ever, Alla Sabur, became a professor at age 18. She was an undergraduate at 10 and got her first degree at 14 from New York State University. In a chat with The Guardian, Anjola’s father, Mr. 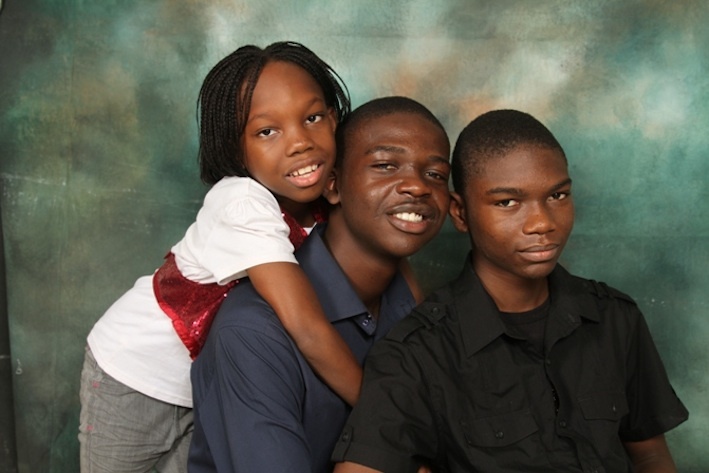 Desire Olufemi Botoku, urged parents to devote quality time to their wards despite their busy schedule. The girl’s mother, Mrs. Abosede Botoku, disclosed that she spent five years exclusively breastfeeding Anjola, which was possible due to the nature of her job at the time. She added that exclusive breastfeeding boosts children’s immune system and their intelligent quotient. • Will APC play the dark horse joker again? AS the drumbeat of the 2015 general elections reaches a crescendo, the race for the most coveted governorship seat in the country gets intense and fiercer. Curiously, the conspiracy of silence among the ruling party bigwigs is unnerving. Various names as likely successor to Governor Babatunde Fashola have been thrown up but delay by the All Progressives Congress (APC) to switch on pre-election activities is causing many party stalwarts sleepless nights. Among those nursing the ambition to be the next occupant of Lagos House, Alausa next year are Commissioner for Works, Obafemi Hamzat; former Attorney General and Commissioner for Justice, Supo Sasore; immediate past Commissioner for Finance, Tokunbo Abiru; his successor, Ayo Gbeleyi; and the Commissioner for Sports and Youth Development, Waheed Enitan Oshodi. These are the shortlisted five of technocrats perceived to have the capacity to carry on the Fashola legacy, but against the possibility of facing the Peoples Democratic Party (PDP) and Labour Party (LP), who will likely field politically experienced candidates, the APC is tinkering with its options. The obvious options are two serving Senators, Ganiyu Solomon and Gbenga Ashafa, Speaker of the state House of Assembly, Adeyemi Ikuforiji, and former Commissioner for Environment, Dr. Muiz Banire. Political watchers in the state are, however, second-guessing where the next governor would emerge from out of the three senatorial districts in the state. The calculations are pretty straight: Lagos West have had it for two terms of eight years with Asiwaju Bola Tinubu from 1999 to 2007; Lagos Central followed with incumbent governor mounting the saddle; which then makes it politically expedient that Lagos East takes its turn from 2015. This is why contenders from this zone are upbeat about their chances in the race to pick the party’s slot. But what may throw spanner in the works is the strong but subtle agitation by several political and interest groups for a Christian governor in 2015. This, according to inside sources, is the reason for the party’s vacillation on the post-Fashola project, alongside APC’s fixation on pushing out the PDP from power at the centre. 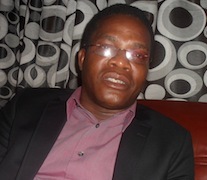 The religious dimension to the dramatis personae of Lagos 2015 project is a growing concern the party cannot wish away. APC is already being touted as a Muslim party, a tag the national publicity secretary of the PDP, Chief Olisa Metuh, is latching on to, to allege that the party is planning to impose an Islamic agenda in the country like the Egypt Muslim Brotherhood. The consequence of this agitation is that by the time the governorship slot goes to Lagos East, it should be a Christian ticket, if the party is thinking correctly. “The Christian community is beginning to feel disenfranchised and there is a serious search for a Christian ticket from Lagos East, which will knock off the ambitions of many front-liners like Ashafa, Ikuforiji, Hamzat, GOS and Banire,” a party chieftain, who doesn’t want to be named, noted. Until Senator Oluremi Tinubu last year openly debunked being in the running for Fashola’s seat, rumour mills had gone agog with the story that the penetrative campaign for a Christian governor may not be unconnected with the move to push Tinubu’s wife forward. Close aides of the national leader say it was never the plan for her to run, as the move would have hit a brick wall since she is representing Lagos Central at the Senate, the same zone the incumbent governor is from. “Even the Senate thing didn’t just happen like that. It took a lot of work for Asiwaju to agree to the ticket. You know how women have a way of getting what they want no matter how difficult. Asiwaju just succumbed. Members of the Tinubu inner caucus revealed to The Guardian that after the five names of possible successors drawn up by Fashola leaked to the public last year, Tinubu drew up his own list of technocrats as a counter balance and arrived at the following: Dr. Leke Pitan, former Commissioner of Health; Prince Gbolahan Lawal, Commissioner of Agriculture and Cooperatives; and the immediate past Accountant-General of the state, Mr. Akin Ambode. Tokunbo Abiru, who was recently appointed an Executive Director in First Bank, was dropped from consideration, as there are chances he could succeed the current managing director of the bank, Bisi Onasanya, and ensure the MD position remains in the southwest. 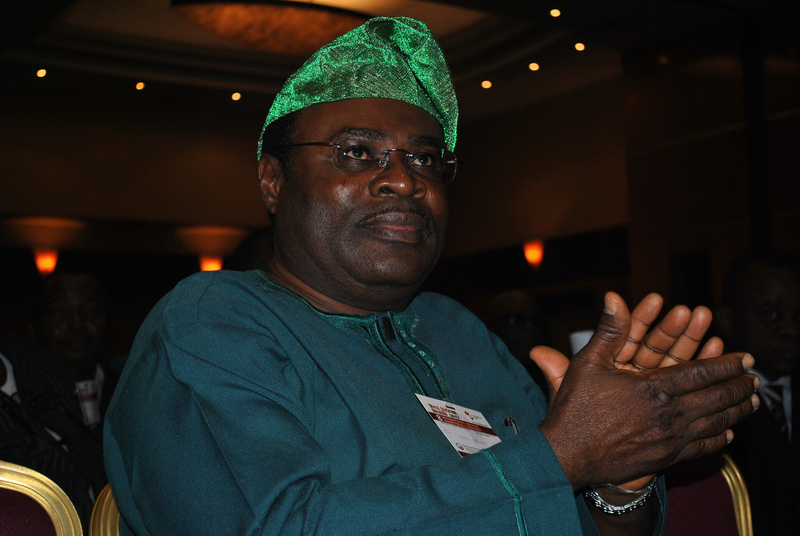 Religious consideration notwithstanding, there is a dark horse being primed in Fashola’s inner circle as a last minute joker should the leading contenders be forced to drop their bid and the surprise package, which is being discussed in hush tones, is the Chief of Staff to the governor, Mr. Mikhail Olanrewaju Babalola. The list of strong contenders the party is presently working on has now been narrowed to two – Obafemi Hamzat and Leke Pitan, who are both from Epe, Lagos East Senatorial District. Of the two, Hamzat is well positioned because of the enormous resources at his disposal and volume of contracts that had passed through his ministry in the last three years. Also, Hamzat’s father, Oba Olatunji Hamzat, is a well-known formidable grassroots mobilizer and colossus in Lagos politics. His father did Asiwaju a huge favour by stepping down in the running for Senate during the SDP days in 1992. 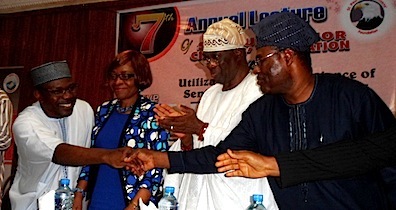 Hamzat senior is also the founder of the Justice Forum, an influential group within the ranks of the Lagos APC. 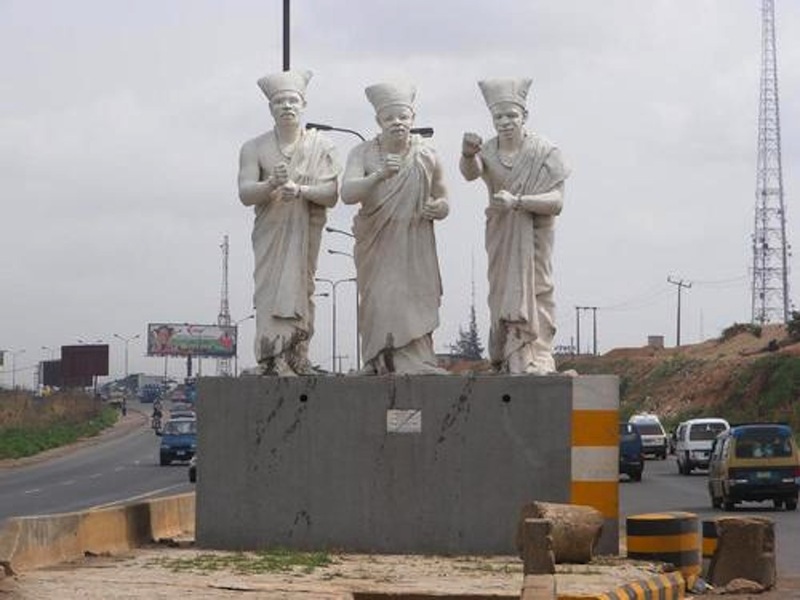 But the decision by Oba Hamzat to become a traditional ruler in Ogun State is working against his son, Obafemi. The indigeneship issue is what traditional rulers in Lagos are holding against party leaders and the major hurdle to cross is convincing Lagosians to vote an Ogun prince into office as governor. Pitan is waiting in the wings to benefit from this contradiction. The template for the actualization of his ticket is the resurgence of groups and factions within the APC. Suddenly, groups, which were before now banned in the old Action Congress of Nigeria (ACN), have been revved back to life to project and counter balance the interests of aspirants. Dominant among these groups are Justice Forum, Mandate Group, and Mega Group. As it stands, Mandate Group leads with a 70 percent membership in the defunct ACN, followed by Justice Forum with 25 percent and Mega with five percent. Within the Mandate faction, Leke Pitan is the main element, and he is aided by his senatorial constituency. But the man who holds the key in the Mandate Group is Asiwaju as he has the last say. For the other groups, Tinubu still has to convince its leaders on major decisions before some consensus are reached. Those in the know in party politics of Lagos State attest to this fact and leaders of the other groups are seriously mobilizing members and shopping for new ones ahead of the APC’s national membership registration in all wards and local government areas of the country to enhance their bargaining power in the party. How do you find subjects to write about? The truth is that a good writer can find a diamond in the river gravel of the Ganges. The truth is that there is a story in everything. [Victim] was killed by [suspect] on [day] in [location]. A Camden man was killed by a security guard Wednesday inside a city check cashing business where he had allegedly attempted a break-in. What lifeless, unmemorable writing. That’s not even writing; it’s Mad Libs. This reporter will one day be replaced by a robot, and no one will notice. He wanted fried chicken, the three-piece box for $2.19. 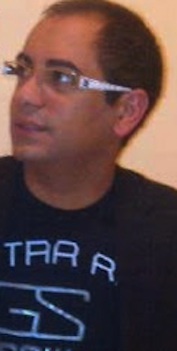 Drunk, loud and obnoxious, he pushed ahead of seven customers in line at a fast-food chicken outlet. The counter girl told him that his behavior was impolite. She calmed him down with sweet talk, and he agreed to step to the end of the line. His turn came just before closing time, just after the fried chicken ran out. He punched the counter girl so hard her ears rang, and a security guard shot him — three times. It’s unsurprising that Buchanan went on to publish fiction. She thinks in stories. How do you find subjects to write about? Think in stories. Take the everyday and tenderize it with metaphor, paragraph breaks and a scant teaspoon of adjectives. 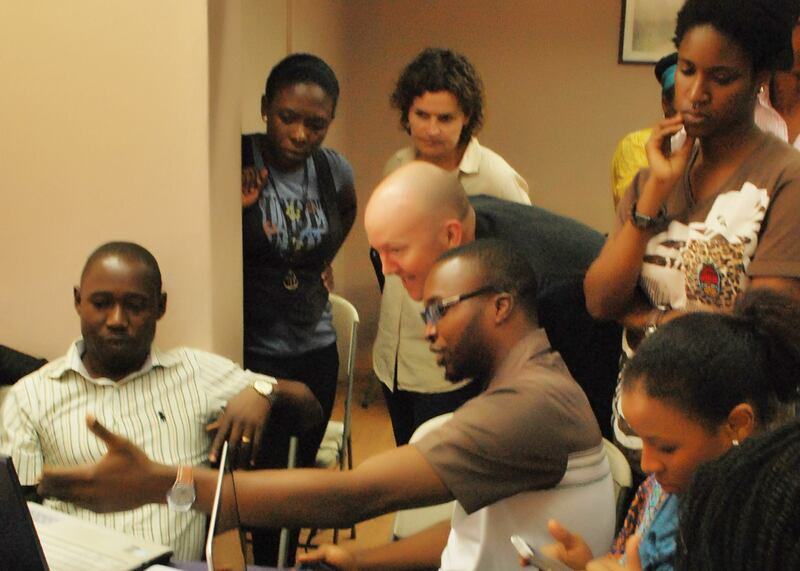 A recent creative writing workshop titled Through My Eyes Project organised by British Council in Lagos. Destroy all excuses. Start a blog or a freelance gig where your beer money (or self-worth) depends on generating story ideas. For many of us, “idea block” isn’t an option. Read, read, read. You’ll quickly develop a sense of what the world considers newsworthy, which will help you recognize subjects when they cross your path. Read the Washington Post, the NY Times, the Economist. Read Quora and notice what content gets reproduced in Forbes and Slate. Read your local paper if it’s any good. Read reddit and HackerNews and TechMeme, even if you’re not in tech. Watch what makes it to the front page, what gets reblogs and comments and beaten like a dead horse. Be a critic. While you’re getting your recommended daily allowance of news, ask yourself, What’s this story missing? What ground haven’t they covered? Scan the comments, where there’s bound to be an angry mob pointing out a story’s flaws. It’s not a crime to steal the idea and write a better follow-up. Use social media as a wiretap. I’ll be breaking the news this week that a well-known winemaker is moving his tasting room. This shouldn’t be news: It’s right there in a public Twitter reply. Stock up on Facebook page subscriptions and Twitter follows, and check in frequently. Leave the house. Unlike a novelist, who benefits from living inside his head, a journalist is a witness to history. You gotta get out there. Patronize bars and restaurants, concerts and festivals, dog parks and dog shows and book signings and tattoo conventions and nature preserves and farmers’ markets. Consider yourself always on assignment. Meet people. Leave the house by yourself and pledge to talk to strangers. Practice being friendly and listening, even if the stranger is really different from you — especially if they’re really different from you. I’ve never had more story ideas than during the month I spent suffering through OKCupid dates (well, except for the week I spent on a Greyhound bus). Impress your sources. Get their quotes right. Get the facts right. Be as warm as is possible while maintaining objectivity and professional distance. They will always remember you. When an alien spacecraft lands in their front yard, they will call you — “hang on, honey, I know someone at the paper” — even before they call 911. Check the calendar. No-brainer news days include Black Friday (action-packed coverage from the frontlines, with some thoughts from economists on what the high/low numbers mean), Christmastime (feel-good stories of toy drives, or sad stories about toy drives getting robbed), New Year’s Eve (how safe are the streets compared to last year, and how much of a crowd do officials anticipate? ), Groundhog Day (how dumb is this tradition? ), etc. Think small. Better leave it to Anderson Cooper to cover large-scale news like Hurricane Katrina, you might think, but au contraire — global news affects all of us. Reporters everywhere were thinking long and hard about that friend of a friend of a friend who lived locally but had a connection to New Orleans. Scan even the most god-awful press releases. There’s a release in my inbox from a restaurant chain making me aware that February is National Hot Breakfast Month. Could I have fewer fucks to give? Nope. But their pitch is interesting: “Give kids a healthy start to the day with breakfast at Bob’s Restaurant, which is now offering $2 cinnamon rolls.” There could be an investigative piece in there about restaurants that portend to be healthy but aren’t, like The Cheesecake Factory and its SkinnyLicious menu. Daydream. Closely guard your alone time. Take extra-long showers and the circuitous route home. Put on some music. Do a rain dance. Get into a habit of writing down ideas. You probably have more ideas than you realize but if you don’t write them down they will fly away and leave no trace. Make notes and then re-read those notes. An idea that went nowhere last Thursday might connect with something else today and make a story. Sometimes three apparently unconnected notes from different periods magically merge to make a new theme. And after a few weeks have passed maybe a chance comment you noted might be the spark that suddenly inspires you. Oh, and it’s important to accept that a good number of your ideas will be utter garbage. Knowing when to throw the gravel back in the river is as important as knowing when to keep the handful that sparkles. The Times Is On It does a fine service chronicling stories that shouldn’t have been. FOR Alexandra Ossai and her Lebanese boss, Kaveh Noine, both employees of Top Pan Printing company in Ikeja, things are not the same anymore; their lives have been disrupted since an incident between both, resulting in the loss of a seven-month pregnancy came into public space. 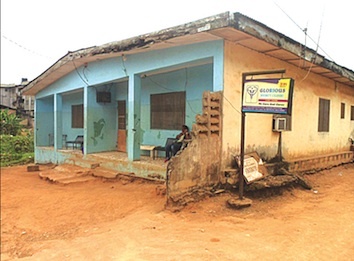 The travails of Mrs. Ossai, a supervisor with the firm, who underwent emergency surgery at Glorious Mercy Clinic in Fagba area of Lagos, after receiving an alleged kick in the tummy, has been well documented in the media. 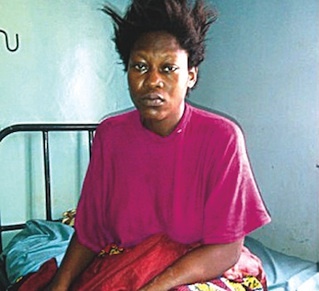 The Lagos State Government through the Ministry of Women Affairs and Poverty Alleviation at the weekend waded in and responded to the appeal for assistance from Ossai by settling her medical bills and securing a comfortable accommodation for her and her family. 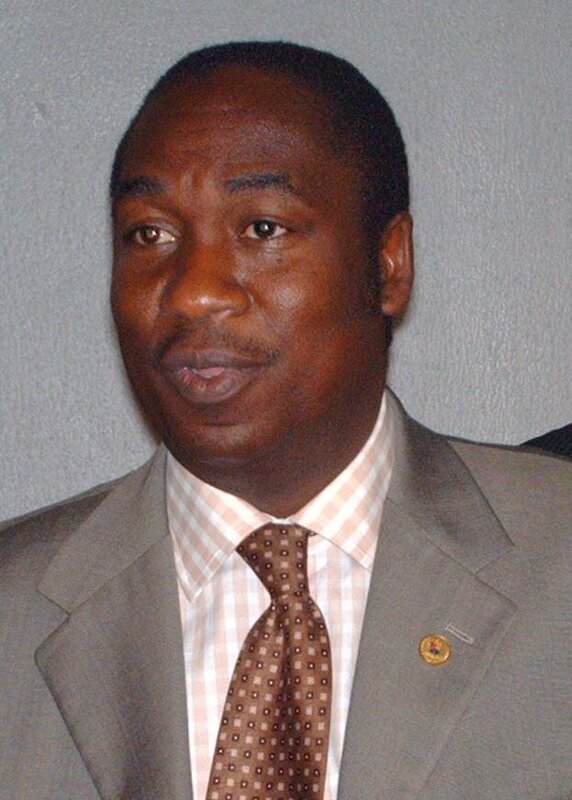 However, not much had been heard from the alleged assailant, Noine, who earlier reports suggested had travelled out of the country, and who according to the Lagos State deputy governor, Mrs. Adejoke Orelope-Adefulire, would be made the poster boy of the state’s law against domestic violence and violence in work places. In a chat with The Guardian, Noine, expectedly, denied the charges against him. He said contrary to reports that he had fled the country; he spent the Yuletide in Lagos and Kano, though he had planned to be with his family in Spain. He, however, admitted that his international passport has been seized by the police authorities investigating the case. “I submitted myself to the police for questioning and investigation into the matter is ongoing. After some prodding, Noine gave his version of what transpired on Saturday, December 14. “I have decided not to speak to the press because of ongoing police investigation but it is necessary I state my case to correct some misinformation already in the public domain. “I came back from my break around 2pm and saw that the environment was dirty. It’s not her job to clean the office; she has six cleaners to supervise. So, I told her that if you cannot do your work, I am going to sack you. “She had earlier been served two warnings and a third one would have led to a dismissal. I wrote her termination letter and gave it to her to sign but she started crying, begging me not to terminate her appointment, especially with Christmas approaching. “Her colleagues, including Ajoke, Kuburat and Loretta, pleaded for her and I tore the letter and ask her to return to her work. Even when the police came here for their finding days later, they saw the letter of resignation I tore in the waste bin. “On Monday, December 16, she reported to work and logged out of the premises at 6:30pm. 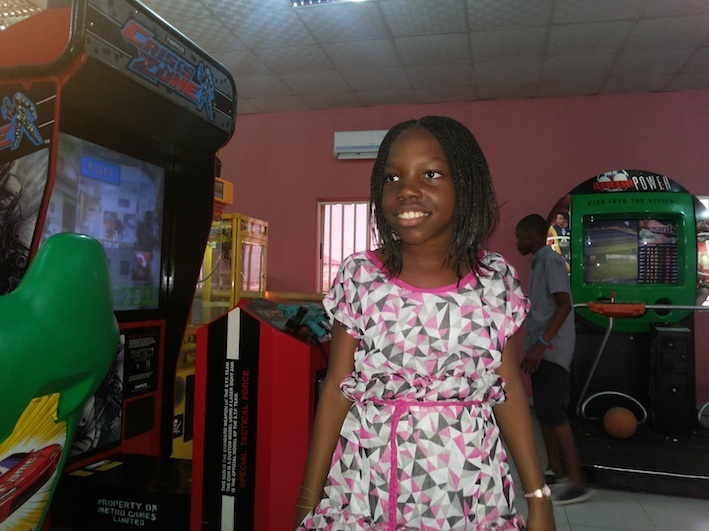 In fact, she was part of those making preparations for our end-of-year party to be held December 20. “She brought a list of things we needed like deejay, food items and drinks to buy, which she submitted to me on Monday, the last time she was here and I told her I was passing her budget to the director for approval. “If she lost her pregnancy for other reasons and she wants assistance, that is understandable; but not to arm twist the company and blackmail us. It is unfortunate that none of the media who have reported this story deemed it necessary to hear my side of the story,” he said. Also making a case for the organisation, the human resources manager of Top Pan Printing, Mrs. Keziah Mbah, said Ossai was formerly a security guard posted to the company by Topzy Guards Ltd, before she was employed on April 13, 2013 and made a supervisor. “How can you have an incident with your boss, which resulted in verbal query on Friday and you reported to work on Monday and early on Tuesday morning you lost a pregnancy we were not aware off and by 10am that same day, you had submitted a typed report to the police accusing your boss of kicking you. She told the world she had an emergency surgery in the early hours of December 16 when she spent the whole day at work reporting in the morning at 6:55am and logging out of the premises at 6:22pm. A statement by counsel to Top Pan, C.O. 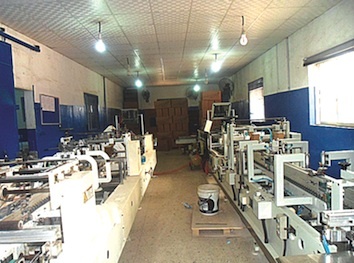 Toyin Pinheiro & Co, which was signed by Ifeoluwa Adebambo, said: “The decency and decorum that once a matter or allegation has come under a police investigation, a party should refrain from doing anything that may prejudice the on-going police investigation and that essentially has been the position of our client, TOPPANE Printing Nig Ltd, as regards the unfounded allegations against its General Manager, Mr. Kaveh Noime. “The company would like to put it on record based on its own internal investigation that the General Manager had no physical interaction or contact whatsoever with Ms. Alexandra Ossai on the date alleged or at any other time, other than the fact that she was queried on the said date for dereliction of duty. Ossai had alleged that her boss is infamous at the company for insulting and physically assaulting employees. She said he is known for throwing scissors and other sharp objects at subordinates. According to her, he treats his Nigerian subordinates with utter disdain, slapping and kicking them at the slightest provocation. She said this particular case wasn’t the first time he assaulted her. Some months ago, she recalled, she punched her in the chest for something so insignificant she couldn’t remember what it was. However, a Facebook interaction between her and her boss, which The Guardian stumbled on, reveals a cozy relationship. Few days before the reported incident, precisely on December 12, she had sent a Facebook message to her boss wishing him well ahead of the holidays. Noine replied the message minutes later. Also, several pictures posted by the two to the social networking site were liked and commented on by Ossai and Noine. The puzzle that remains to be solved and which may slow down police investigations is the delay by the hospital to issue a medical report on the emergency surgery performed on Ossai. Four weeks after the surgery, the medical report is eagerly being awaited. Dr. Sheu Abdulkareem, the medical director of the clinic, said the medical report would be ready when the surgeon, who conducted the surgery, returned from his trip. Despite popular views against him, Noine believes miscarriage can occur as a result of anything – emotional stress, lack of antenatal care or medical attention. He is ruling out a kick in the tummy, since according to him, it didn’t happen. For now, Ossai has decided to stop her interaction with the media. All enquiries about developments relating to the case are being referred to her lawyer, Mr. Courage Erhuem, who has decided to be media shy. He too, is forwarding all enquiries to police officers in Area F, Lagos Command, who are investigating the matter. According to him, the Lagos State Police Command has demanded the dead foetus of Alexandra Ossai’s seven-month pregnancy, which was removed during the emergency surgery last month. TORN, tattered and worn-out flags doting the nation’s landscape have become so commonplace that the sense of embarrassment, which it depicts, has sadly been lost. Such ugly sights daily assault Nigerians on street corners, schools, corporate and government institutions. At present, there is a waving flag torn to shreds at Akowonjo Roundabout, Lagos State, which is sited very close to Alimosho Local Council Secretariat. The national flag is the identity of a living country. The Nigerian flag is the symbol through which the country is identified as a member in the comity of nations. Nigeria is a member of the United Nations (UN), which explains why its flag is flying at the UN headquarters in New York. Also, the national flag is the symbol of our national unity. It is the civic solemn that represents the collective soul of all Nigerians. Everything about Nigeria is embedded in the emblem of the national flag. Flags essentially represent conquest. If Nigeria goes to war with another country, the first sign that one puts up to show ownership is the flag. When Nigeria gained independence on October 1, 1960, the British flag came down and Nigerian flag waved the skies. What many Nigerians don’t know, however, is that there are penalties for the abuse or desecration of the national flag. The penalty is a paltry N100 fine for one day. 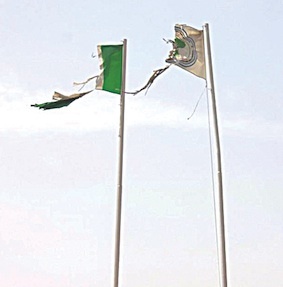 Displaying a tattered flag for a year would amount to N36, 500. This is not enough punishment for any organization or individual flying a tattered, faded or defaced national flag. Two weeks ago, the Secretary to the Government of the Federation (SGF), Senator Anyim Pius Anyim, unveiled the centenary flag in preparation for the 2014 celebration of 100 years of Nigeria’s amalgamation. He described the centenary flag as the symbol of unity, while noting that the centenary celebrations is an indelible event in the history of the country and an opportunity for Nigerians to reaffirm their faith in the country. The centenary flag project is being implemented and promoted by the National Orientation Agency (NOA) in partnership with Karamba Consulting, representing the private sector in the initiative. Karamba Consulting is charged with the responsibility of designing, producing and marketing the flags nationwide, alongside delivering the message of national unity and patriotism ahead of Nigeria’ centenary activities. Driving this arduous task of reigniting the sense of patriotism through appreciation of the centenary flag is the Managing Director/Chief Executive Officer of Karamba Consulting, Dr. Daniel Young. According to him: “The centenary flag will further unite us rather than separate us. The turbulence in the political landscape is such that unless we have a rallying point for everyone to appreciate that sense of our unity, integration may be impossible. “For a very long time, Nigerians have not found reason to believe in themselves and in the country though there are pockets of people who are nationalists. This is the perception we want to change. “For instance, in America, there is absolute loyalty to the flag and it is considered the highest level of treason to disrespect the flag. We look forward to such a time using this platform for Nigerians to begin to appreciate the emblem of our flag,” he said. 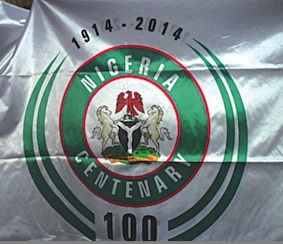 The centenary flag is a commemorative emblem for the celebration designed in green and white colours. According to the organisers, it would not replace the national flag, but will only serve as a reminder that we are 100 years old. Plans have already been concluded to unveil the centenary flags simultaneously in schools, churches, mosques, hospitals and all government institutions across the country, while private organisations would also be encouraged to fly the commemorative flag. “We are particular about the schools because we want our children to be told the story of how we began and who we are as a nation. We want to use this opportunity to re-orientate the younger generation and restore that sense of pride that is lacking in respect to our national emblem. “Married couples are identified with their wedding ring. The flag will serve as our own wedding band tying us to this nation; such that anywhere you see it, you will know a patriot is here. Nigeria is beyond partisan politics and we are using this project to inculcate the culture of nationhood among Nigerians,” he said.